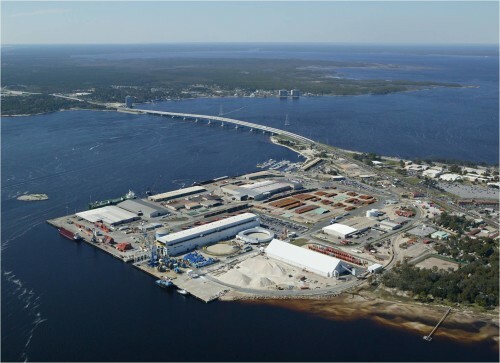 Enviva Partners, LP ships pellets produced at its Cottondale, FL based manufacturing facility out of a deep-water terminal located at the Port of Panama City located in Panama City, FL. Pellets are delivered to the port via the Bayline railroad. Pellets delivered to the port are unloaded and stored in a warehouse facility by the Port of Panama City and loaded into ships under an agreement with SSA Gulf, Inc.